The gateway for the Bhutanese film industry to the international market is finally unbolting with the ministry of information and communication (MOIC) approving in-principle, the first-ever film city project in the country. 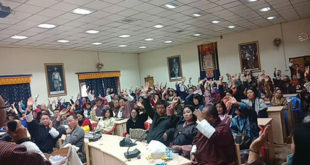 Motion Picture Association of Bhutan (MPAB) has been directed by the department of information and media to submit a detailed proposal for the project soon after a concept paper was presented to the minister, MOIC on Feb 28 by members of the MPAB secretariat. The project will be awarded to local and foreign bidders and is more a Public Private Partnership ( PPP) project than a foreign direct investment (FDI) venture. The film city, it is touted, will have the latest amenities. The projected overall cost estimate is USD70mn for the film city to be comple ted in three years. The land required for t h e p r o j e c t will be either allotted or leased out to MPAB by the government which comes to about 150 acres. G e n e r a l Secretary of MPAB Sherub Gyeltshen said, the secretariat submitted the concept paper and justified it during an audience with Information and Communications minister, Lyonpo Nandalal Rai. “I think the cabinet approved the idea because of which we were asked to submit the detailed proposal,” he said. The concept was first proposed by an Indian consultancy firm earlier this year in January. 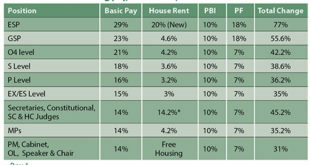 It was then discussed during MPAB’s annual general meeting on Feb 5. Earlier, despite extensive advertisement, the scenic beauty of the country had failed to attract international film makers. This was solely because of the lack of technical capacity, human resources and other facilities which will be resolved with the coming up of the film city. Foreign film makers face difficulty in bringing along the entire requirements like equipments, crew members and entire casts. “If the film city project gets through, this issue will be resolved,” Sherub Gyeltshen said. An ambitious plan included is the installation of international standard post-production studios equipped with laboratories. An American TV serial award-winning director has proposed to produce an English movie ‘Get Karma’ with a Bhutanese cast in Bhutan by early 2013, targeting the western audience. The entire cast will be provided training for three months, more than the average 45-day period for producing a Bhutanese film. More such proposals are expected post-completion of the film city. Apart from foreign film makers, a lot of high end tourists are expected as well. “It should generate revenue for MPAB and for the nation as a whole”, Sherub Gyelsthen said. A film and television institute will also be attached to the film city to provide all kinds of technical equipment and trainings needed for the film industry. The institute can be used not only for indoor film making but also as a mass media training centre. Local artistes could also land a role in foreign films. Most of the film makers are of the opinion that the film city will solve the problem of lack of proper sets required for shooting. Freelance film writer, editor and director, Tshering Penjore (Paco) said a lot of time for travelling and searching for sets to shoot a scene will be saved. He said while film makers could use the natural scenes for outdoor shooting, there is a problem while searching for sets indoors. “It disrupts others’ privacy when we need to work at people’s homes and offices”, he said. “We intend to train local people even for the crew level requirements of international standard with available equipment for production and post- production. That’s the whole reason why foreign film makers will opt to come here”, said the MPAB General Secretary. An amusement park, the first of its kind in the country will also be a part of the project. Business houses around the location will flourish with increase in demand for goods and services such as essential products, hotels and other amenities. Wangchuck of Bhutan Multimedia Ltd. said the Bhutanese film industry will definitely benefit from the film and television studio but the sustainability of such infrastructure is questionable. 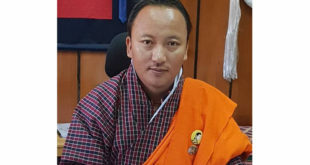 Earlier in February, talking to The Bhutanese, Lyonpo Nandalal Rai said, he will put up the issue regarding the need of a film city with the government and stressed that collective proposals from the association is always welcome. Lyonpo also said, the government had invited proposals since mid- 2010 from MPAB to develop the film industry but received no response. The ministry will refrain from providing financial aid in cash for the fear misuse. However, Lyonpo said the government can always assist in alternative ways by providing oppurtunities, facilities and the likes. MPAB as the apex body facilitating the growth of motion picture productions was awarded a Gold Medal by His majesty the Druk Gyalpo during the 102nd National Day. This was in recognition of the industry’s valuable contribution towards gross national happiness (GNH) & creation of employment, engagement & entertainment for the youth. It has 85 registered member producers & 185 registered individual members which comprise freelance artists, technicians and crew members. Bhutan has 62 film production houses, 12 recording studios and seven small screen producers, creating more than a thousand jobs for the youth. The MPAB by the end of February had formed an eight-member special task force which will redefine the entire association in achieving its plans and ensuring its overall growth. A member of the task force, Tashi Gyeltshen said the major initiative is to first draft a Charter by the end of this year. It will also develop a master plan which will contain guidelines on film making and general information on MPAB’s major plans for the future. It includes plans to register with the Civil Society Organization (CSO) followed by affiliations with international organizations. However, the task force is not responsible for films not doing well at the box office. The General Secretary said MPAB will submit various proposals to the government after their master plan is concretized. 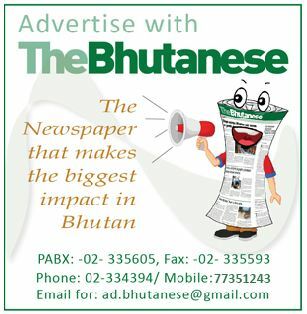 “Once we have the film city, we can proudly say that there is a good Bhutanese film produced in the market”, he said. The detailed proposal for the film city will be submitted soon after the MPAB secretariat meets in early April. This is good. Hope the G.Secretary, MPAB and others make wise decision. They chose right location (it should definately not be Thimphu). Punakha or Bumthang are beautiful places, would be nice to have the film city there over a vast area, in the midst of beautiful historical places. It will be perfect for inspiring the film makers make quality Bhutanese films. This places can also later be the center for art(film making and etc) and aspiring artists can travel to these places to realize their dreams.